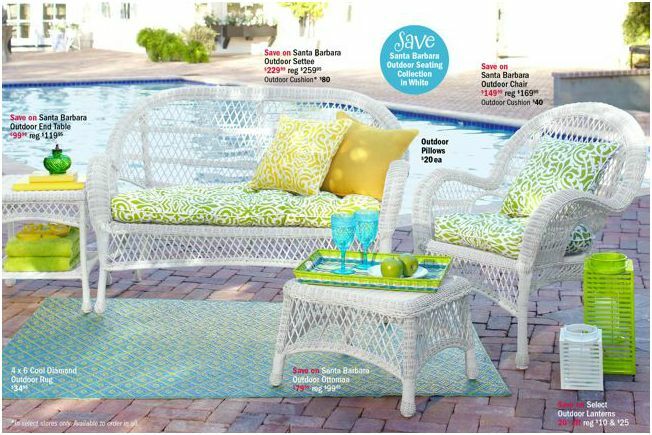 I am in the process of trying to create a mini retreat in our backyard and I’ve been pinning backyard patio ideas. I’m finding it quite challenging to even get started. Why? For starters, we live in a rental home and only plan on being here for another year. So obviously I don’t want to invest in anything permanent. Another issue is we have a tiny, and I mean tiny, patio area. It’s not large enough for our table, so we have to put the table in the grass. Annoying, but it’s what works right now. I decided that maybe if I write about it and organize my thoughts, it will actually motivate me to get it done. I’m starting with my color scheme, which I have decided I want to go with green, yellow and blue. It’s bright and cheerful and I just love it. It’s completely opposite of the inside of my home which is much darker. 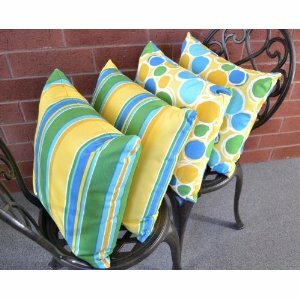 Here are a few pillows that I am working on the decor from. 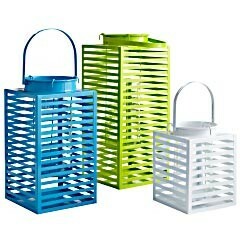 I already have a pair of blue lanterns I purchased last year from Pier 1 Imports and they will fit nicely into the color scheme. I also need a new rug and want to add some color with one. 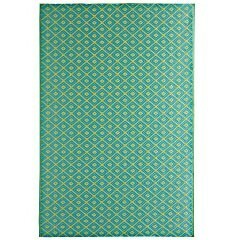 I would love a rug with blue and greens like this one pictured below. The actual picture doesn’t do the rug justice and you really need to see it up close to really see the colors and pattern. 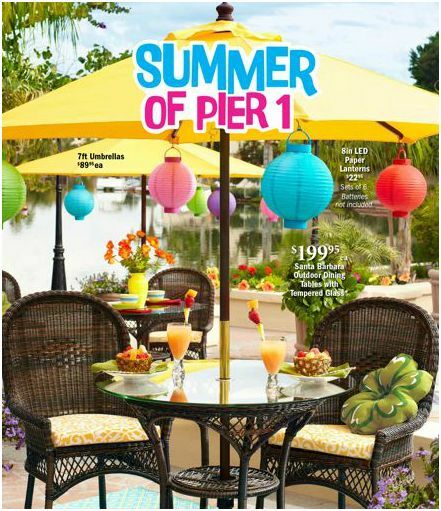 Here is the same rug featured in a Pier 1 Imports ad. So now that I have the color scheme picked out and a few accessories were chosen, it’s time to compare prices and go shopping! I am on a budget due to the fact that summer camps for 3 kids and summer vacations and well, summer, in general, is pricey! My husband and I about fainted after writing all those checks. Phew! But so worth it. Are you doing some outdoor decorating and looking for backyard patio ideas? If so, I hope these ideas helped you as much as they did me.